The GloMax® Detection Systems offer superior performance for a wide array of cell health, genetic reporter, protein interactions, and nucleic acid quantitation assays. 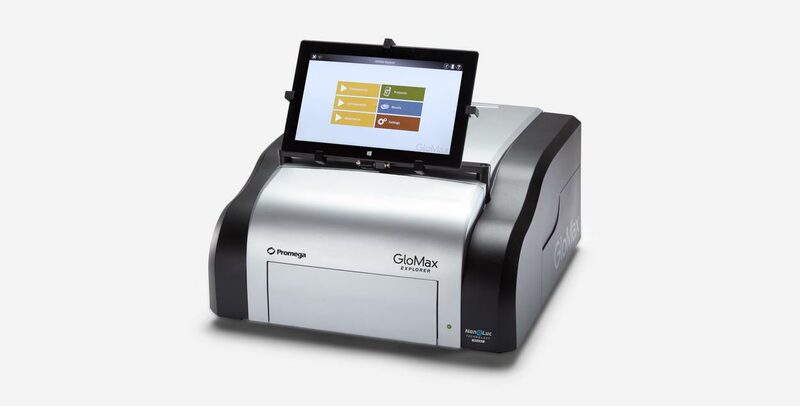 The sensitivity, broad dynamic range and low well-to-well cross talk gives you more usable and relevant data, whether you are seeking a single-tube fluorometer for quick measurement of nucleic acids or a multimode microplate reader that can integrate into third-party robotic platforms. Whatever your workflow, we have an instrument that meets your needs. 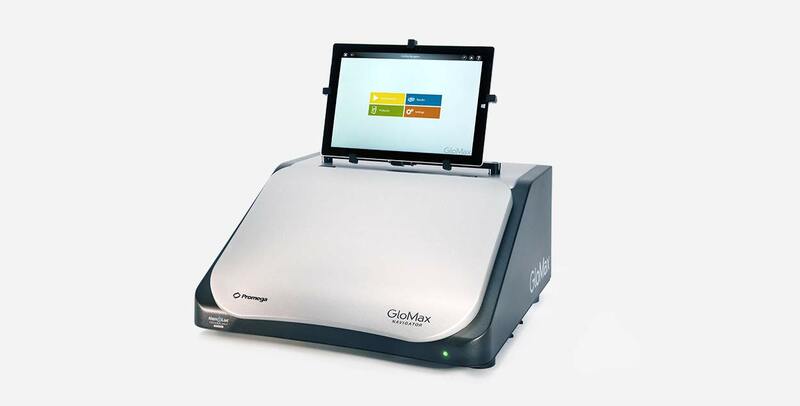 It easy to quickly set up your GloMax® Detection System and begin collecting and analyzing data, right out of the box. You can use the preloaded protocols, or customize your own. Start with the industry-leading features you need, and upgrade as your requirements change. Easy-to-use multimode detection, with over 50 preloaded Promega Assay protocols. 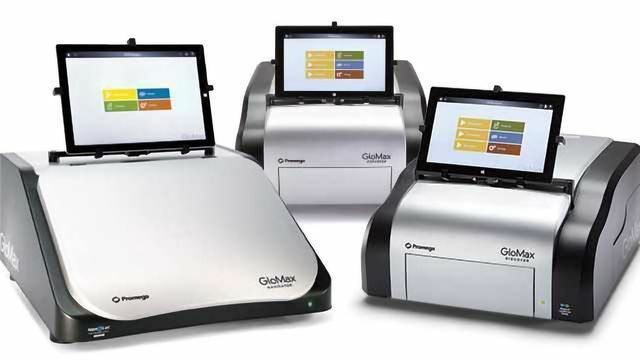 A Dedicated plate-reading luminometer that allows you to get up and running quickly, generating the data you need from your experiments. Preloaded with Promega Assay protocols, simply unpack it, plug it in, and begin your experiments.